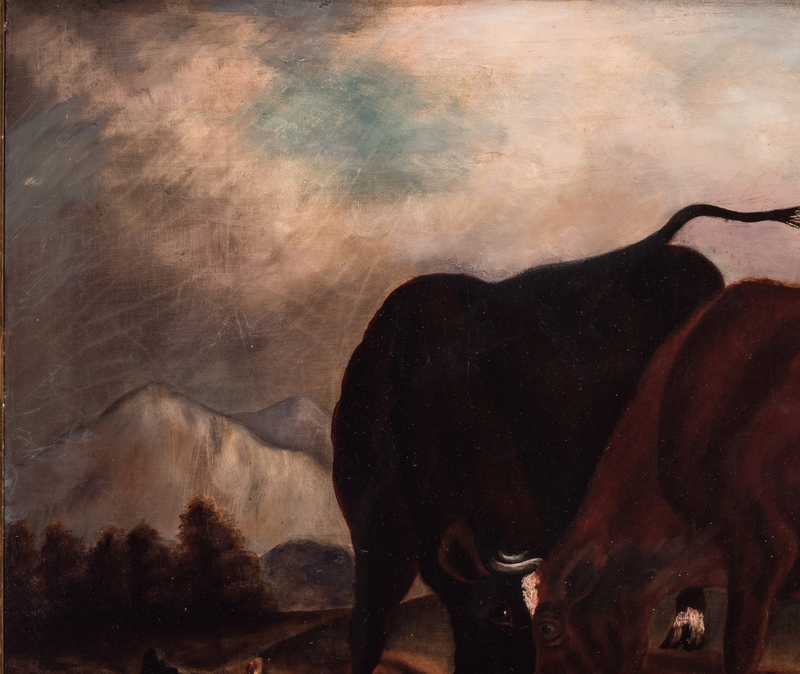 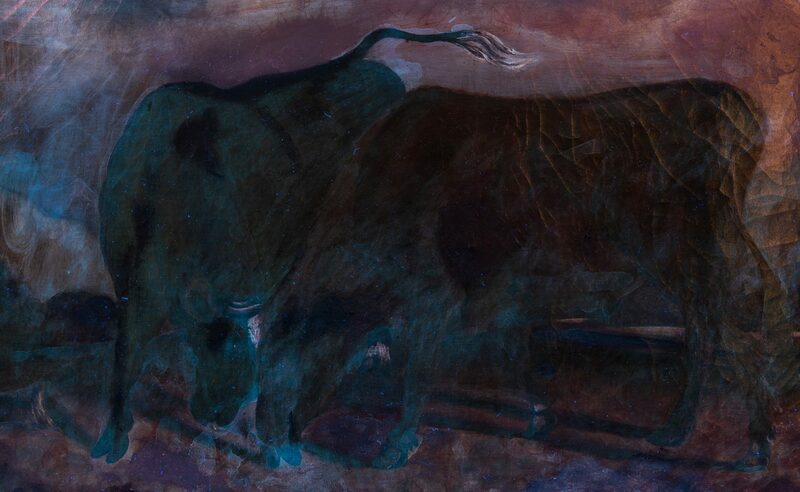 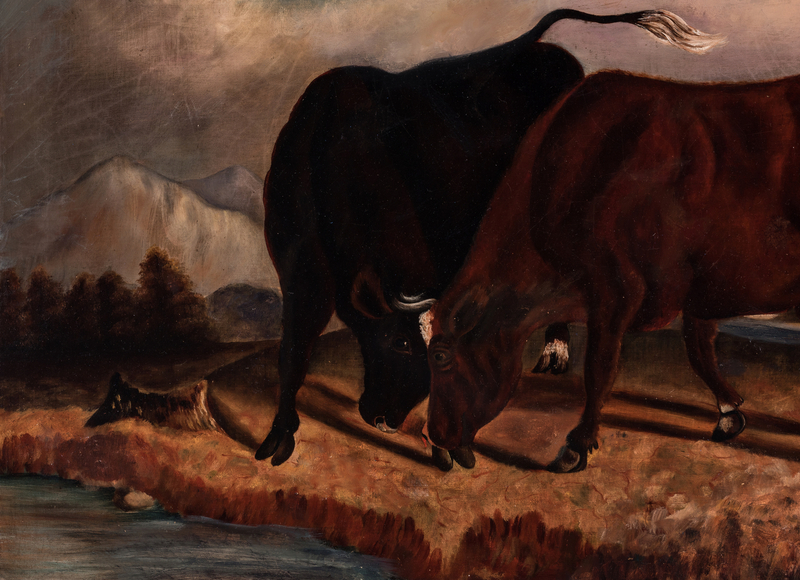 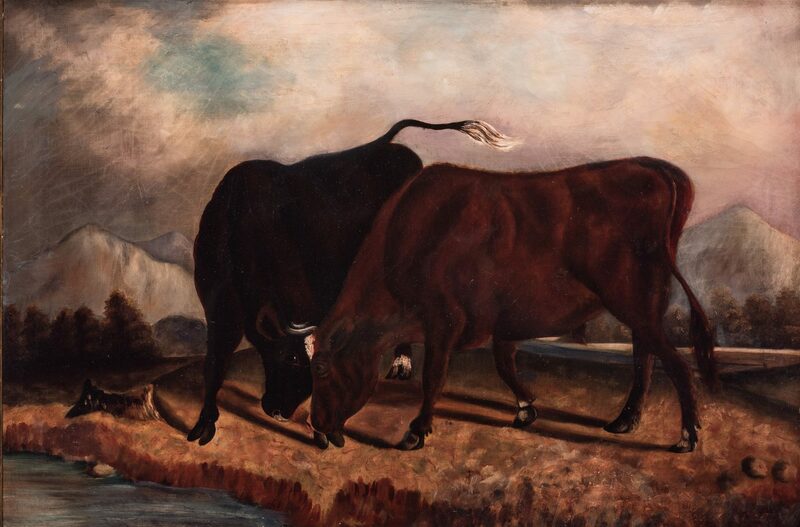 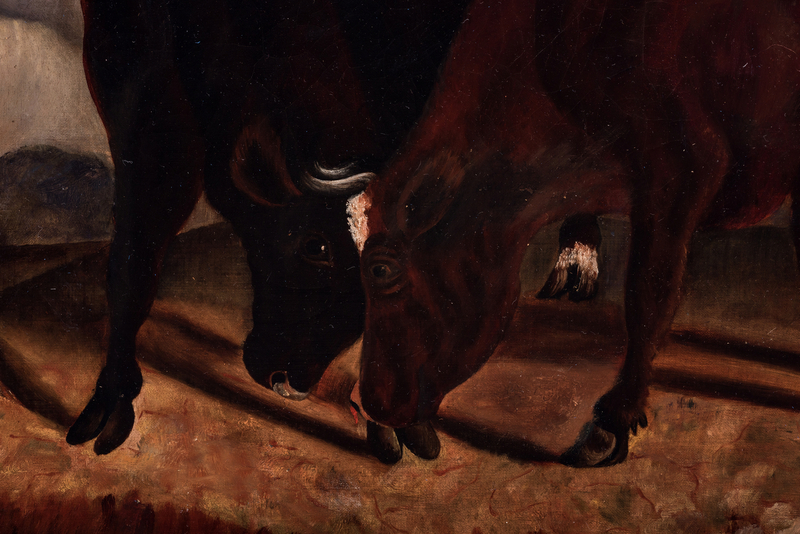 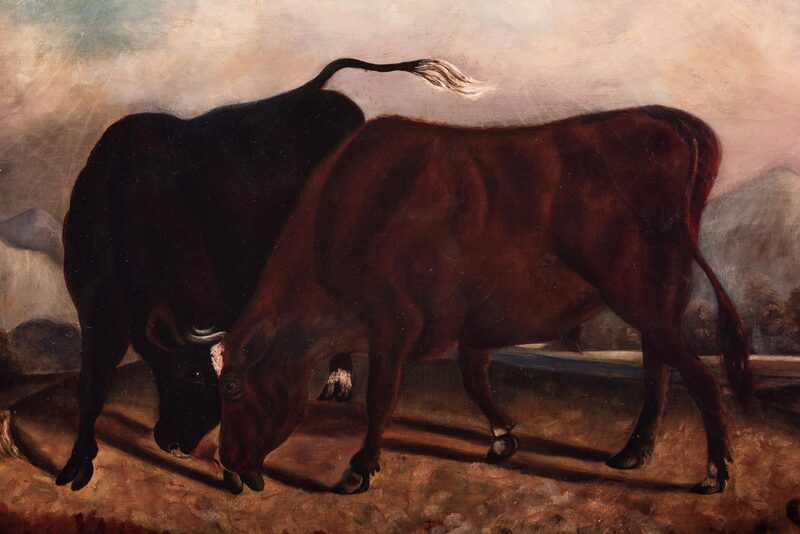 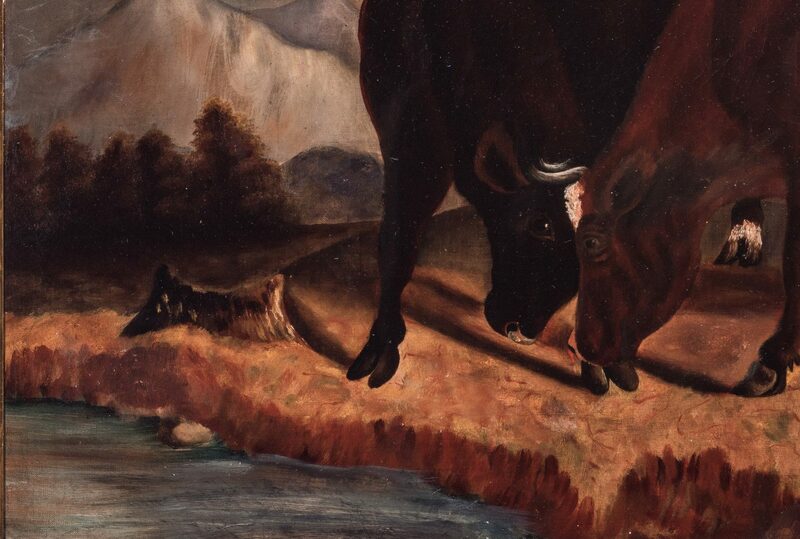 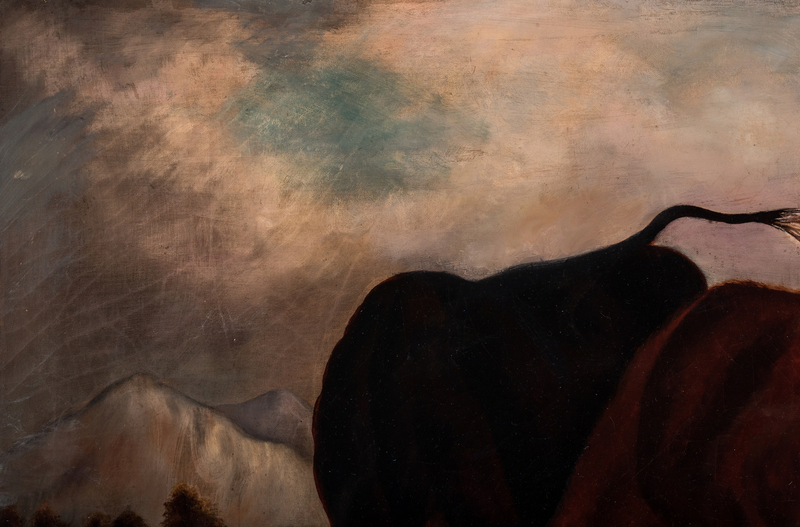 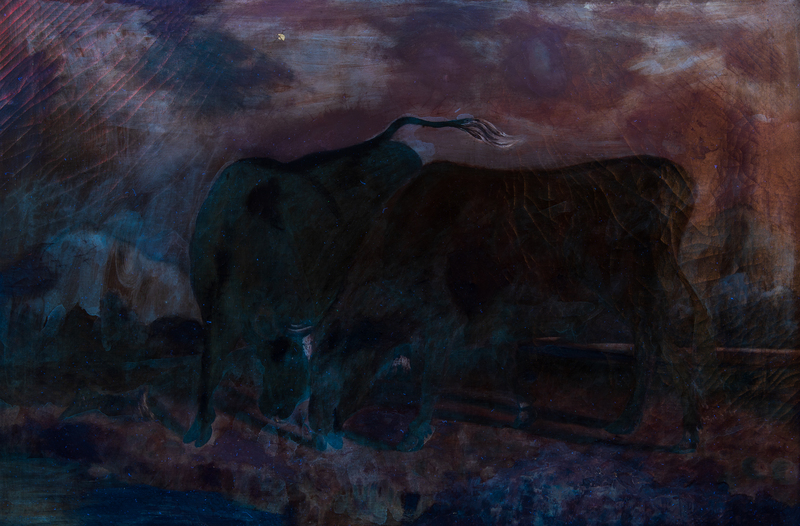 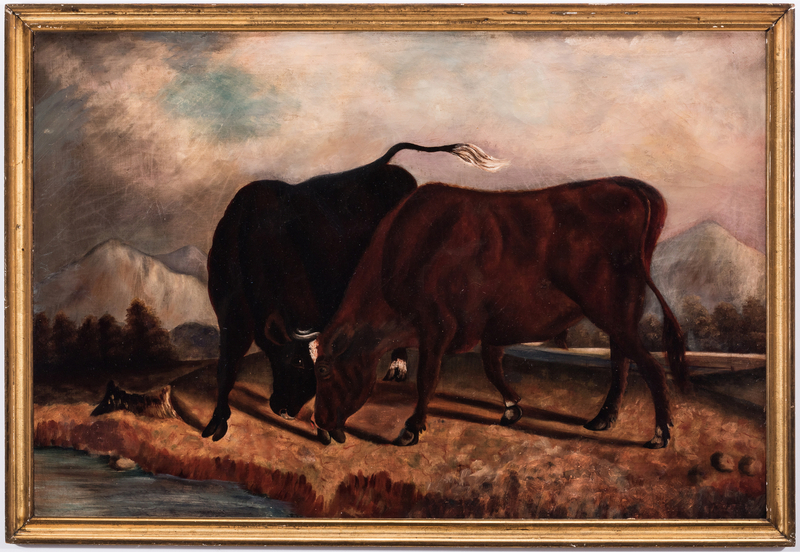 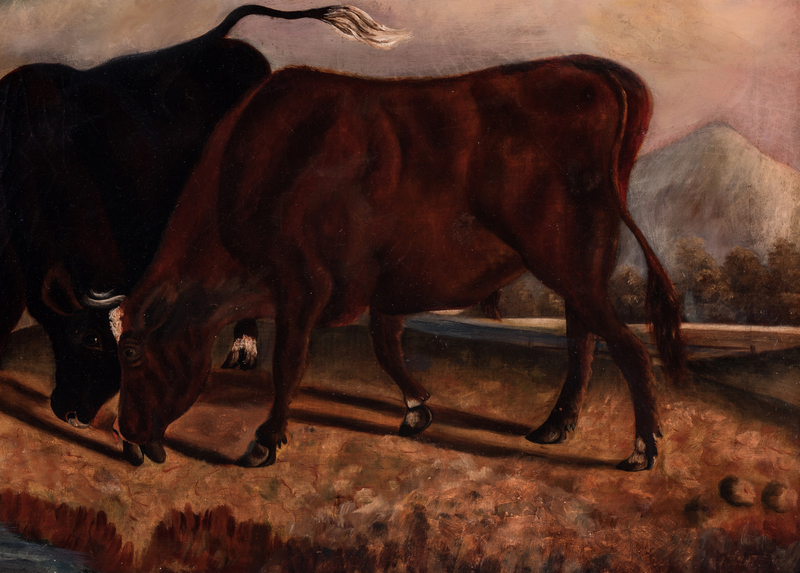 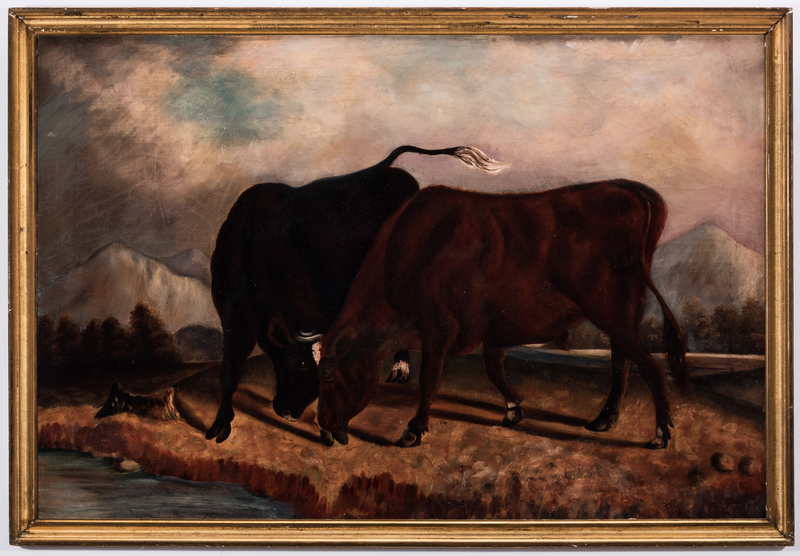 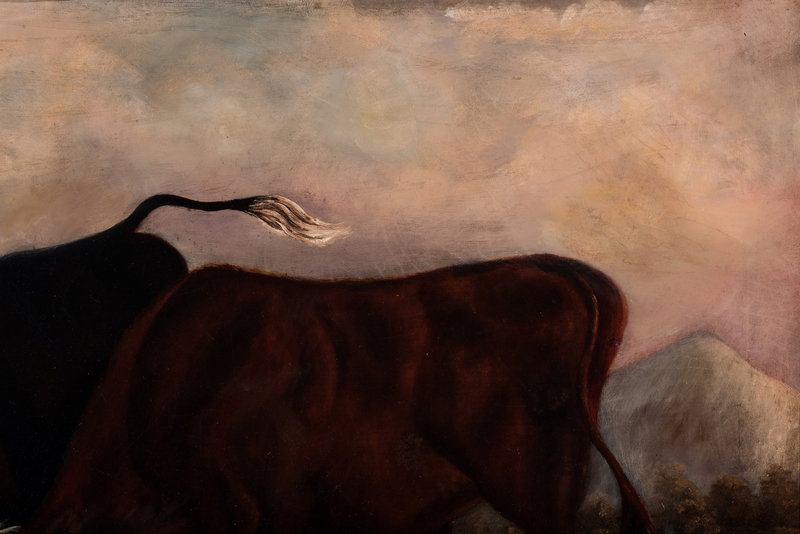 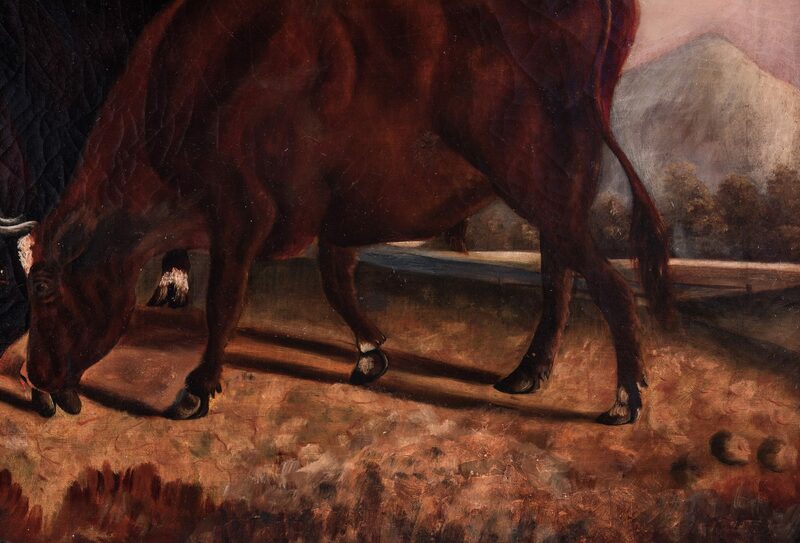 19th century European school oil on canvas painting depicting two fighting bulls by a stream with trees and mountains in the background. Unsigned. 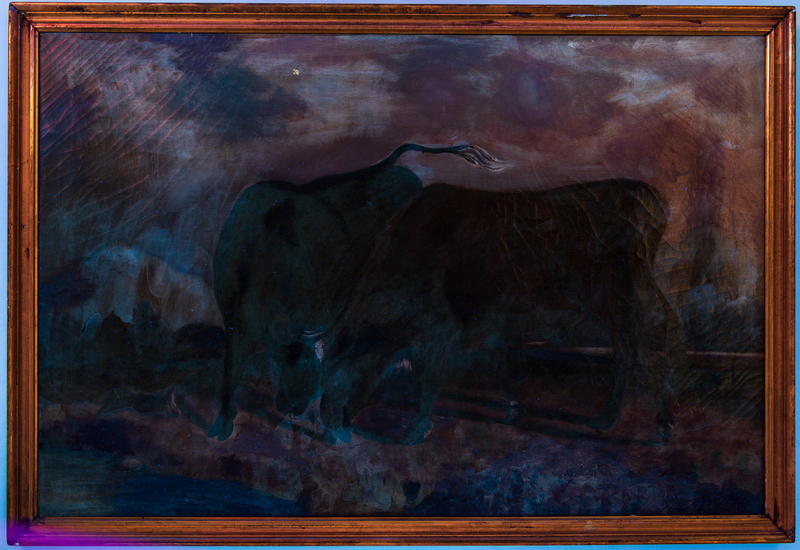 Housed in a gesso and gilt wood frame. 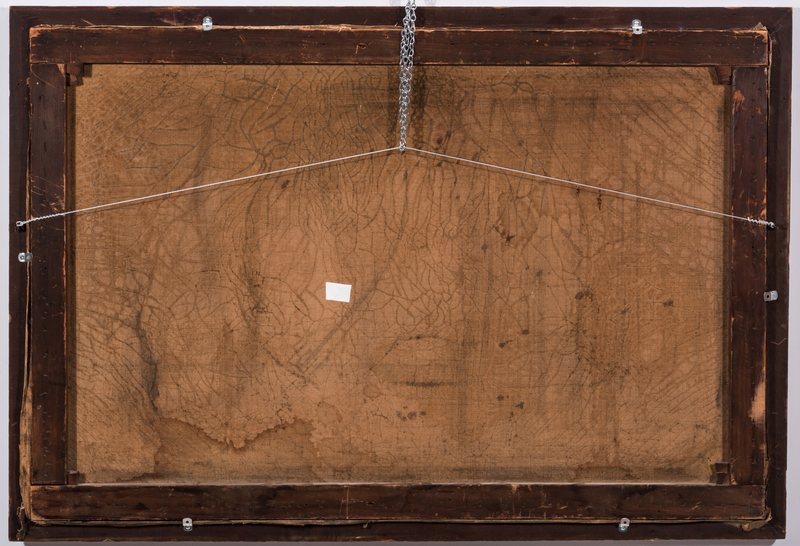 Sight – 27 6/8" H x 41 1/2" W. Framed – 30 7/8" H x 45" W. CONDITION: Overall cracquelure. 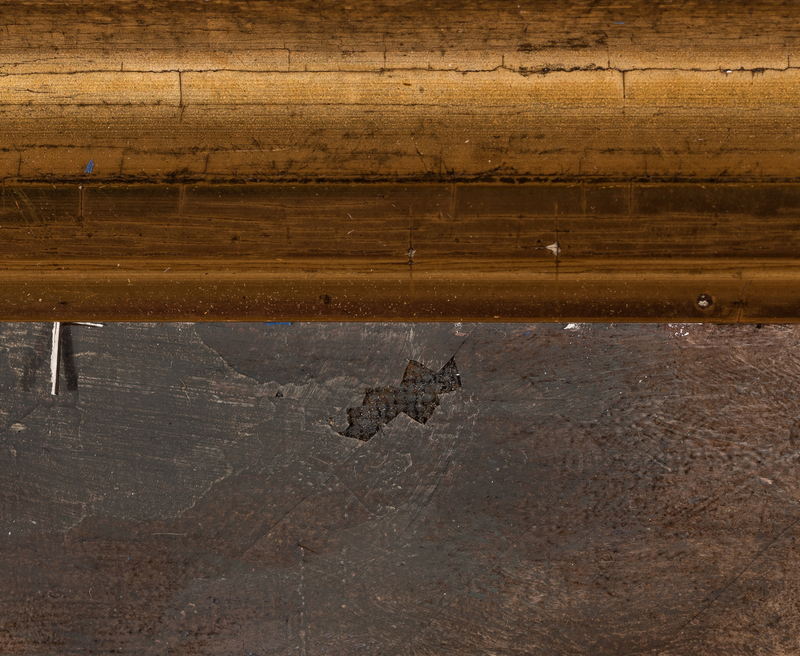 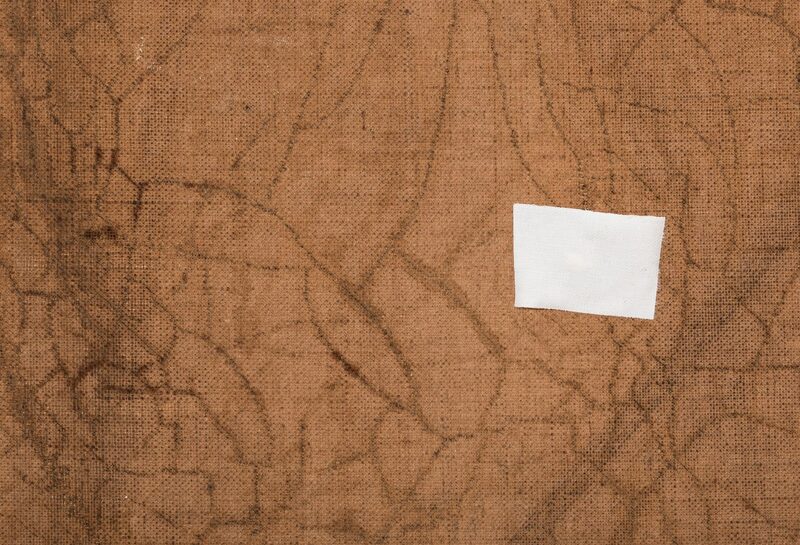 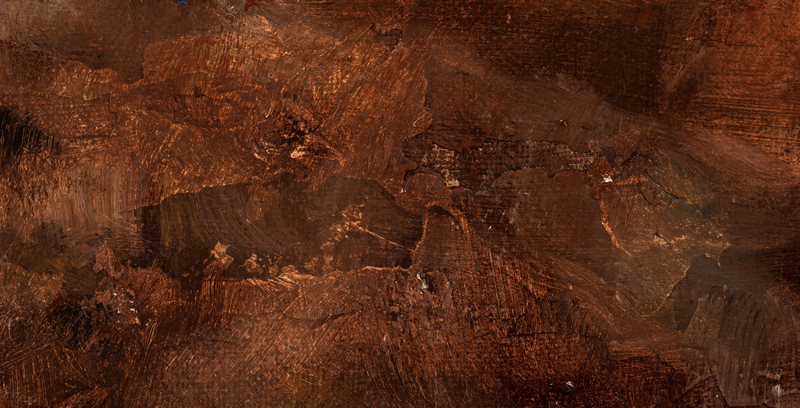 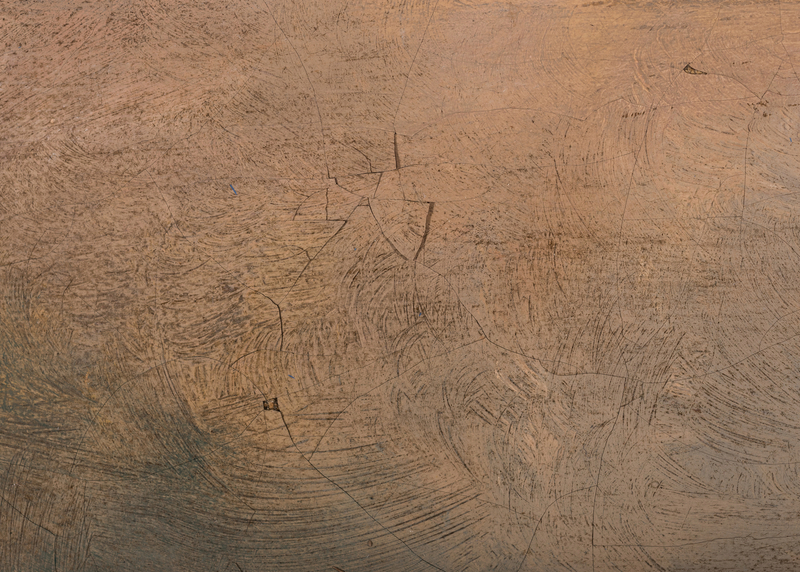 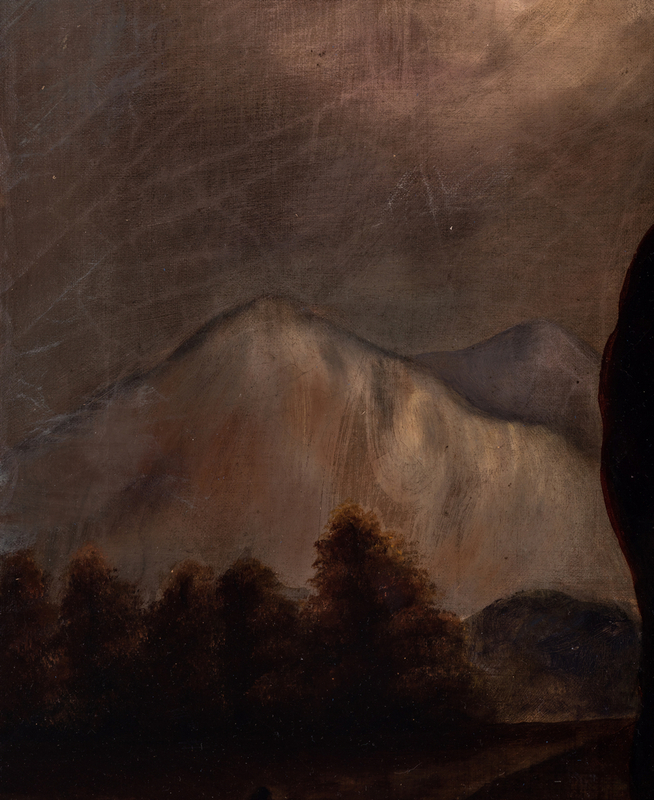 Flaking to canvas upper left margin.